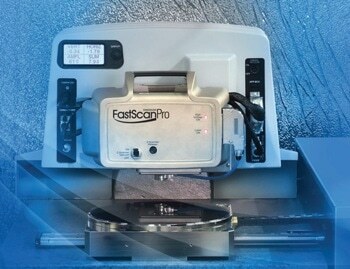 The Dimension FastScan Pro™ has been specifically designed for high-volume, production environments. 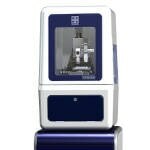 Equipped with PeakForce Tapping®, the FastScan Pro delivers the highest metrology-level performance and speed of any industrial atomic force microscope (AFM) available in the market. 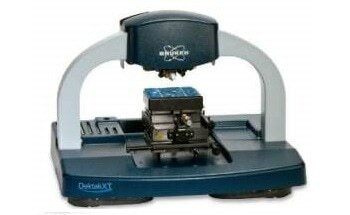 It allows both automated and semi-automated measurements, and at the same time, ensures ease of use and low cost per measurement for failure analysis, quality control, and quality assurance. 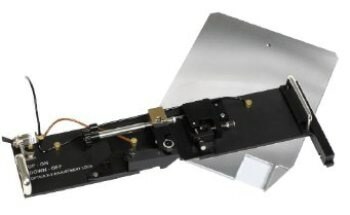 PeakForce Tapping provides users with the ability to accurately control probe-to-sample interaction, and facilitates the lowest available imaging forces. 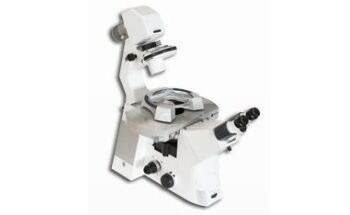 This exceptional force control delivers the highest and most consistent resolution AFM imaging for different types of samples, ranging from thin films and soft polymers to very hard materials and electrical samples. The piconewton force sensitivity of PeakForce Tapping simultaneously integrates the highest resolution AFM topography with quantitative, nanoscale mechanical and electrical property mapping, allowing users with different experience levels to acquire accurate measurements. Operation complexity is eliminated with ScanAsyst® and AutoMET™ recipe software that collectively provide unparalleled ease of use. 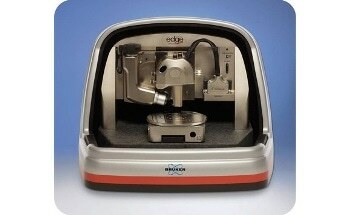 This results in faster metrology and better data results, irrespective of the AFM experience level of operators. 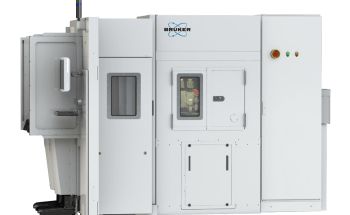 Bruker has the largest service and applications support network, and provides extended support through regional customer support and programs. 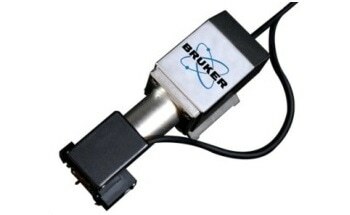 Bruker systems are used by top semiconductor and data storage manufacturers and major industrial companies across the globe, as Bruker is known to deliver highly reliable precision metrology platforms. 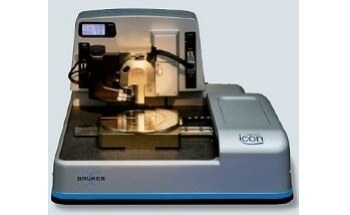 The proprietary PeakForce Tapping from Bruker brings a new level of dimension to AFM technology. Accurate control of the peak normal force at individual pixels leads to reduced lateral force on the probe. 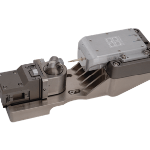 As a result samples are protected from contact damage, probe lifetimes are extended, and reliable measurement performance is realized. The PeakForce Tapping-based image-optimization mode, ScanAsyst, allows both expert and novice users to acquire the maximum measurement performance. Users simply have to choose a sample scan size and scan area, and ScanAsyst takes over completely, producing a turnkey solution for AFM imaging. 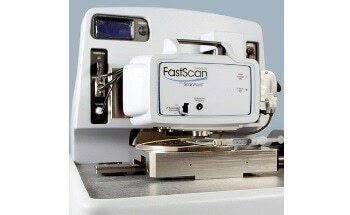 ScanAsyst also prevents the need to navigate complex AFM parameter settings and interfaces. Intelligent algorithms continuously and automatically track the image quality and adjust the parameters accordingly. A powerful software package called NanoScope Analysis supports remote data analysis of images through linked communication to FastScan Pro. This considerably extends the capability for data analysis, either offline at users’ desk or in real-time on the FastScan Pro. 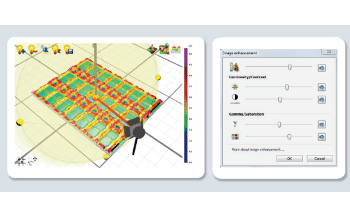 Dimension FastScan Pro offers precise and repeatable height, depth, and roughness measurements from sub-nanometer steps to high-aspect ratio trenches using TappingMode or PeakForce Tapping. 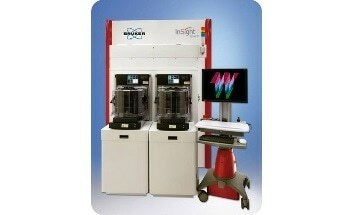 It is possible to detect and characterize nanoscale defects on a wide range of substrates, wafers, and sliders. 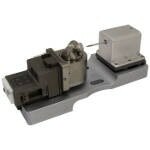 PeakForce QNM is designed to offer mechanical property and 3D imaging data. 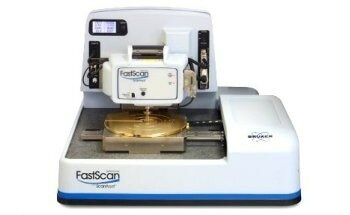 FastScan Pro, from standard AFM modes to the newest PeakForce Tapping modes, provides excellent flexibility and the widest range to meet specific characterization and measurement requirements on different types of samples. 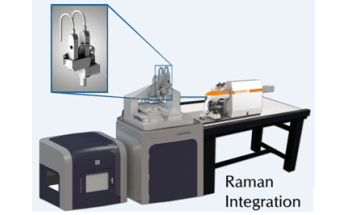 The combination of FastScan technology and Conductive-AFM (CAFM) helps to conduct nanoscale current measurements at high scan rates, greatly improving the efficiency of failure analysis measurement. 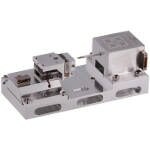 FastScan Pro uses a small magnetic force microscopy (MFM) cantilever to provide more than 10x scan rate improvements for MFM applications with unprecedented data quality using PeakForce Tapping. 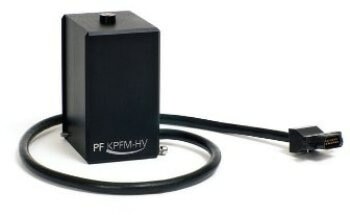 PeakForce TUNA™ enables high sensitive conductivity measurements, and PeakForce KPFM™ offers the highest spatial resolution and highly precise measurements of surface potential. 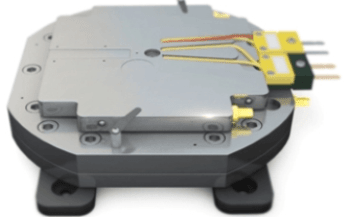 With the special PeakForce QNM® and FastForce Volume™ nanoscale mechanical mapping modes, mechanical properties like adhesion, stiffness, modulus, deformation, and dissipation can be mapped, while imaging sample electrical properties and topography. 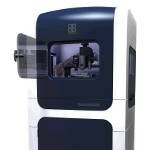 PeakForce QNM facilitates non-destructive measurements on thin films, polymers, and nanoscale defects that otherwise cannot be measured with scanning electron or transmission electron microcopy techniques. 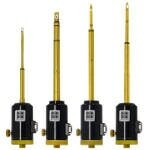 Semiconductor - Precise step height and depth metrology measurements; characterization of bare wafer roughness metrology and defect review; and fault isolation and characterization of the nanometer-node electrical device. Data Storage – Accurate, high-throughput, high resolution, production-based slider metrology; media substrate roughness and defect review characterization with excellent resolution; and magnetic and electrical failure analysis characterization for slider, media, and wafer. 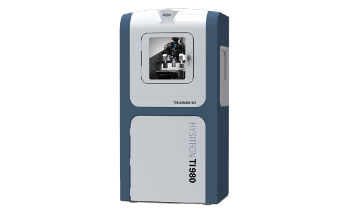 Polymers and thin films - Concurrent topography and mechanical property mapping; high-throughput, topography measurements for quality control; ideal for various block co-polymers. Solar materials and high-brightness LEDs- Automated HB-LED pattern sapphire (PSS) shape and depth metrology; accurate HB-LED substrate roughness; and electrical characterization of solar materials and HB-LEDs. 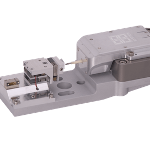 MEMS manufacturing - Automated measurement of shape, height, and roughness; electrical characterization of MEMS devices; and mechanical property characterization of actuators. 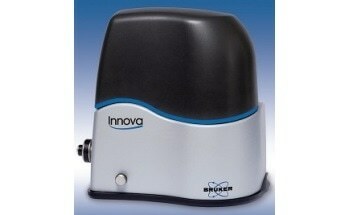 * Dependent on facility environmental noise emissions. Consult Bruker specialist to establish a plan for ultimate performance.